So our very first dragon. 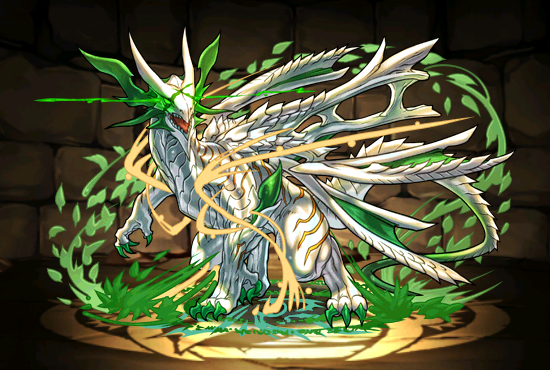 It is green and yellow and surprising for a dragon because it has a healer subtype. Either way, Ripper dragons are those things that are super awesome when you're low level and then they start to get more and more meh as you go along. A fully evolved ripper dragon can like one shot most bosses in early dungeons with their skill and their leader skill which cuts in half damage by certain elements are really really useful in easy descendeds and collabs. Furthermore they look really cool. However for their ultimate evolution all ripper dragons need trifruits which are really hard to get. Of course you call roll some during rare evolution material events but it's not really worth it because by the time you can do trifruits you'll have no real need to run a resist team. 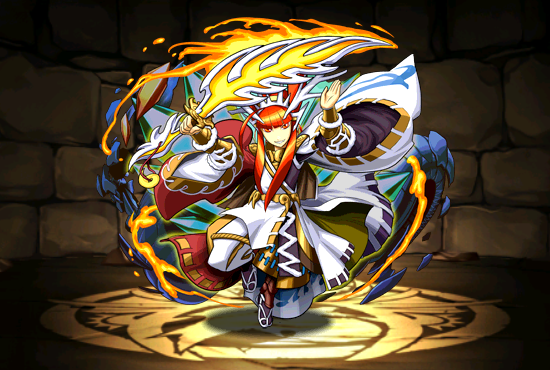 Either way he's a good sub for Valkyrie however the problem with him is that he's a dragon as well as healer. Dragons have low RCV and Healers have high RCV. He has low RCV for a healer and pretty high RCV for a dragon, so he's in this mucky zone that doesn't really suit either. It's not high enough to get dragons healing well. So another Collab monster. This is from the Kapari-san collab. There's a store in LA if you live there and think this stuff is cute. Either way completely skill-up material. Skills up Thanatos who recently got a buff. His leader skill is a nerfed version of Haku, so if you're really desperate for that leader skill I guess you can go for it. Otherwise useless. Another Collab. 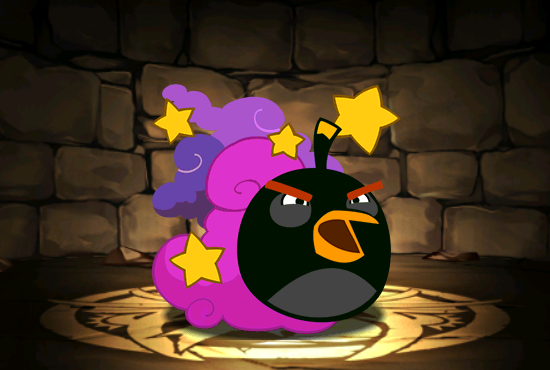 Angry birds this time. Also skill up material this time for the dark Sticker Girl, Kurone. Apparently works well with Remote Claw Batman for cost limited descendeds, so there's that I guess. Otherwise Skill up. 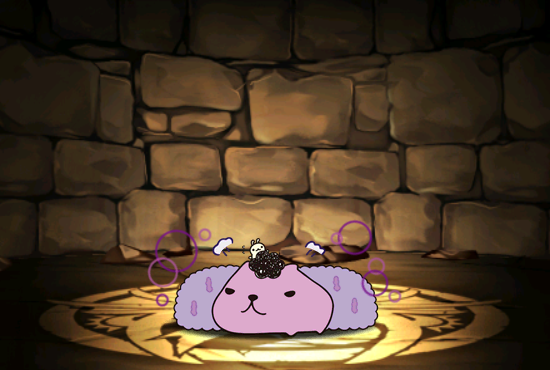 Ahh, our first descended god. Sooner than I expected. So as far as descendeds this guy's is easy since it's a tricolour. Either way, even if his leader skill looks good, it's actually not that useful considering for physicals you want to stack HP. People use him as a sub for Kirin because Kirin is also a physical and needs fire which this guy provides. And then Supergirl came out and now he basically goes with her. He enchances red and yellow which is two of the three that supergirl needs for a full 3.5x. Basically it gives an amazing burst to that, and then which King Bubblie it's an insane bonus. Otherwise I can't really think of a reason to use him. One of trophies that everyone has though.